There is a wide range of menus to suit all pockets and tastes in a simple and easy to follow format. All food is freshly prepared on the premises by a skilled team of Chefs and professionally served by our experienced, courteous and efficient waiting staff. Vegetarian options are always available. In addition we have no difficulty in catering for special dietary needs but please try to give us prior notice. 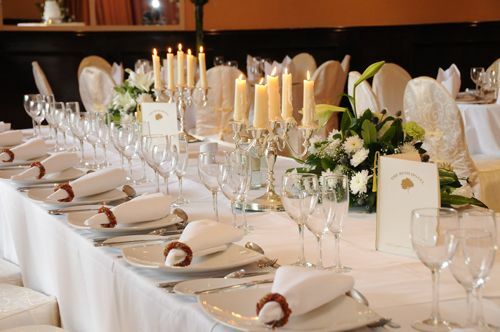 Our delicious menus can be viewed in our Wedding Brochure.